Potent, selective, use-dependent Na+ channel blocker. Citrate Salt. Membrane impermeable Na+ channel blocker. A quaternary derivative of lidocaine. Displays anesthetic properties. Active in vivo. 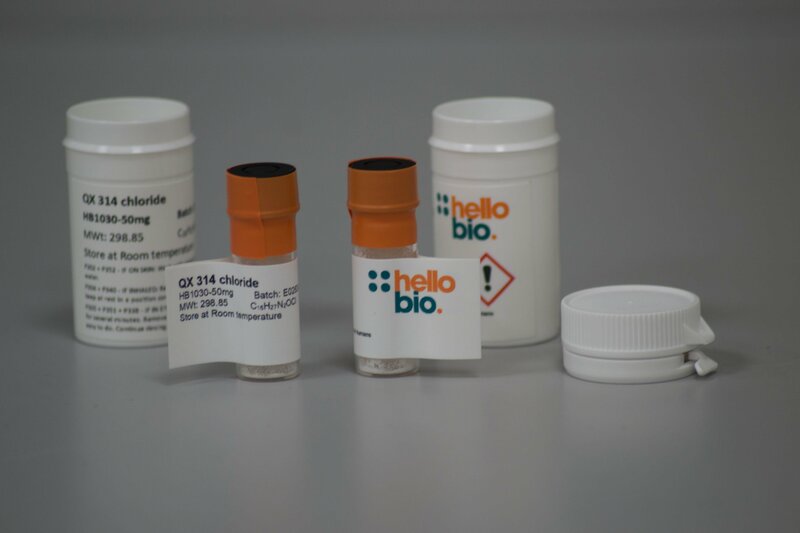 QX 314 bromide also available. Fast sodium action potentials are generated in the distal apical dendrites of rat hippocampal CA1 pyramidal cells. Colling SB et al (1994) Neurosci Lett 172(1-2) : 73-96. Intracellular QX-314 inhibits calcium currents in hippocampal CA1 pyramidal neurons. Talbot MJ et al (1996) J Neurophysiol 76(3) : 2120-4. 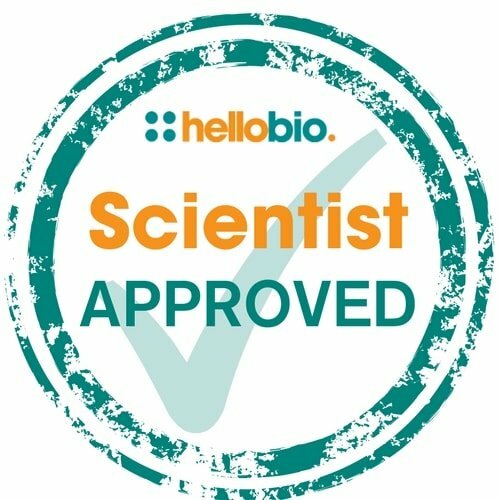 The following papers have cited the use of QX 314 chloride (HB1030) from Hello Bio. If you have published a paper using this product, and it is not shown here, then please tell us! We will send you a free gift as a thank you! Limiting habenular hyperactivity ameliorates maternal separation-driven depressive-like symptoms. QX 314 Chloride blocker. We routinely use this sodium channel blocker in our lab. We bought it from another supplier and again Hello Bio's formulation worked as expected for less. Thanks! Reasonable price and it works as it should.